NEW fears were raised over genetically modified food yesterday after researchers claimed regulators had missed an “unsuspected viral gene” in widely used crops. A study published last month found that the commonest modification in GM crops includes a “significant fragment of a viral gene” known as Gene VI. The study by European Food Standards Agency experts published in the journal GM Crops and Food said the gene “might result in unintended phenotypic changes” which means it could have unintended genetic or environmental consequences. The report comes with ministers backing GM foods and claiming the technology is needed to feed the world’s growing population. Earlier this month Environment Secretary Owen Paterson said the Government should not be afraid of making the case to the public about the “potential benefits of GM beyond the food chain, for example, reducing the use of pesticides and inputs such as diesel”. But yesterday critics claimed the new discovery suggests that some GM crops could pose risks for consumers and the environment. 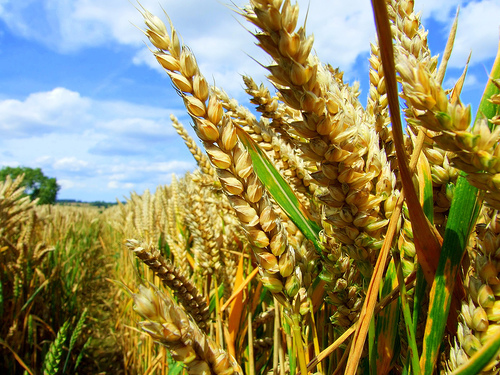 Dr Jonathan Latham of Independent Science News said: “This finding has serious ramifications for crop biotechnology and its regulation, but possibly even greater ones for consumers and farmers. “This is because there are clear indications that this viral gene might not be safe for human consumption. Gene VI is found in some of the most widely grown FGM crops including weedkiller-resistant soya beans and maize. Two thirds of GM crops approved in the US contain the hitherto unidentified viral gene. GM crops have been given commercially attractive properties – such as weedkiller or pest resistance – by having new genes inserted. These genes are usually taken from species with which the crop could not breed naturally. Last night Pete Riley of the GM Freeze pressure group said: “This discovery of this previously unidentified gene in GM crops raises serious concern about the safety of GM food and feed. “It totally undermines claims that GM technology is safe, precise and predictable. “The very existence of Gene VI has been missed for many years, so we don’t know what implications it might have. “It is impossible to say if this has already resulted in harm to human or animal health, and since there is still no GM labelling in places like the US where GM is more common in the diet, no epidemiological studies can be carried out. “Possible harmful effects of GM Organisms could easily be lost in the general morass of ailments which vets and medics have to deal with on a daily basis, especially if these were as result of low level exposure over several years, and the link to GM could take many years to establish that way. “This is a clear warning the GM is not sufficiently understood to be considered safe. But the biotech industry insists that its products have undergone rigorous checks – and have been eaten safely by million worldwide. Dr Julian Little, chairman of the Agricultural Biotechnology Council, said: “The claims by Latham and Wilson were made in a blog posting, not a peer-reviewed publication. The original article by Podevin and du Jardin states that there are no elements present in the GM crops tested which are similar to known toxic and allergenic proteins. “The GMO risk assessment carried out by EFSA is the central element of the strictest, science-based crop authorisation procedure in the world. This study is just a small part of what is a comprehensive and highly complex scrutiny process. The Department for Environment Food and Rural Affairs said the viral gene in the research occurs naturally and will be present in non-GM food. A spokesman said: “The world’s population is growing which means people will need more food and there will be a greater demand for water, energy and land. The European Food Safety Authority has highlighted that the data published in the paper do not represent a new discovery of a viral gene and nor do they indicate safety concerns surrounding previously evaluated GM crops. genetically modified foods (GM foods) have made a big splash in the news lately. European environmental organizations and public interest groups have been actively protesting against genetically modified foods or GM foods for months, and recent controversial studies about the effects of genetically modified foods like corn pollen on monarch butterfly caterpillars.